Kesari 1st Day Box Office Collection, Akshay Kumar's Film Takes a Solid Start! Kesari 1st Day Box Office Collection, Akshay Kumar’s Film Takes a Solid Start! Finally, the much-awaited film of the year Kesari has been released at the box office on Thursday i.e. 21 March 2019 amid the great initial buzz. Due to a holiday and humongous hype, the action war drama has registered the biggest opening of the year. Featuring the strong ensemble cast that includes superstar Akshay Kumar, Parineeti Chopra, Mir Sarwar, Vansh Bhardwaj, Jaspreet Singh, Vivek Saini and Vikram Kochhar Kesari has received positive reviews from the critics and got succeed to entertain the audience. On the opening day i.e. Thursday, Kesari took an overall decent start in the morning as there were limited shows till noon across the country due to the Holi festival. From the evening shows, it recorded an exceptional occupancy in theatres and registered the business of 21.06 crores nett from 3600 screens. Considering the celebration in the morning, the film showed a slow jump. Well, a healthy weekend is definitely on the cards for Akshay. The emotional and patriotic angle have always worked in Akshay’s favour no matter what and this time, he is donning a turban look which is like a cherry on the top! 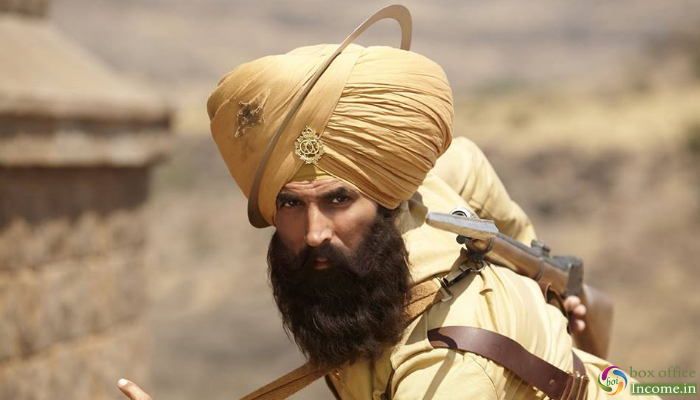 Kesari follows the events leading to the Battle of Saragarhi, a military combat between 21 soldiers of the Sikh Regiment of the British Army and 6,000–10,000 Afridi and Orakzai mountain tribesmen from Afghanistan in 1897. Produced by Hiroo Yash Johar, Aruna Bhatia, Karan Johar, Apoorva Mehta, Sunir Kheterpal and presented by Zee Studios.